Seizure Tracker™ - Review the various medication used to treat seizures and epilepsy. 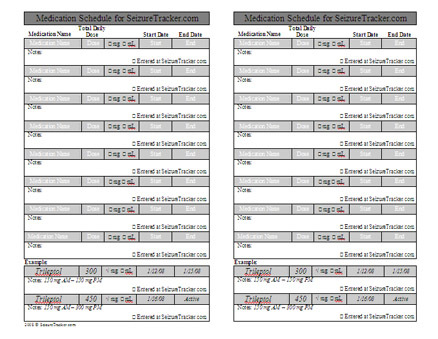 Work sheet and instructions on entering medication schedule information into SeizureTracker.com. Designed to add into seizure logging book. 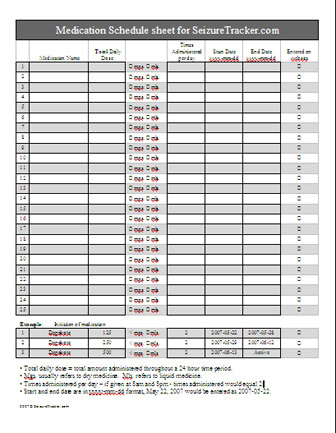 Work sheet and instructions on entering medication schedule information into the SeizureTracker.com.